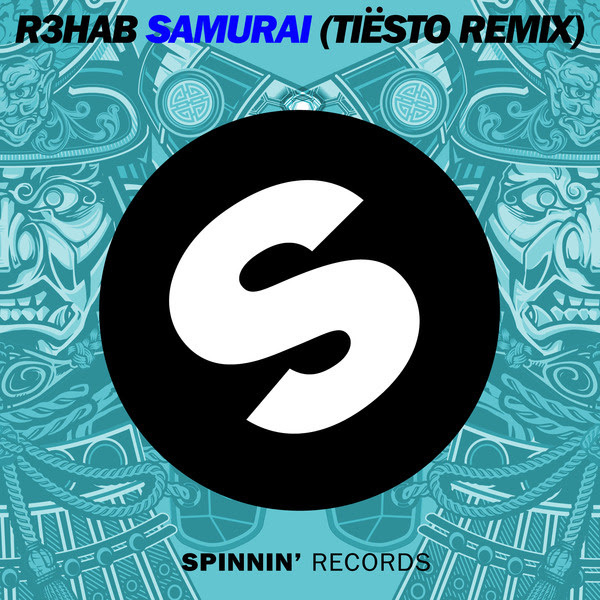 DJ and producer Tiësto has dropped a remix of R3hab‘s track, “Samurai.” The original reached #1 in Beatport’s Electro House chart and #2 in the Beatport chart. Out now on Spinnin’ Records, the track is nothing short of stellar, earning support on radio shows from David Guetta, Hardwell, Nicky Romero, Afrojack, Thomas Gold and Deniz Koyu. Crowds have witnessed the banger at shows by Dimitri Vegas & Like Mike, Sander van Doorn and Blasterjaxx. Powerhouse producer, renowned clubbing brand and outright festival favorite, the past three years have proven a wild ride for Dutch heavyweight R3HAB. His Signature big room sound, studio achievements and onstage aura leave an impact felt at every corner of the globe. A three-time IDMA winner who has risen through the ranks of ‘Breakthrough Artist’, ‘Best Full-Length mixer’ and ‘Best Remixer’ R3HAB’s is a success story like few others. From Beatport number ones to sold-out crowds and remixes for Rita Ora and Calvin Harris to name a few, R3HAB proves he is ready to take the flag as Holland’s next great electronic dance champion. Tiësto is one of the most recognizable forces in the genre. He’s received the adoration of millions worldwide, garnered Grammy Award nominations, opened the 2004 Olympic Games, been named “The Greatest DJ of All Time” by Mixmag and the “#1” DJ by Rolling Stone, partnered with Guess and AKG for his own brands, headlined festivals worldwide including Ultra Music Festival, and Electric Daisy Carnival, launched the “Club Life” channel on Sirius XM, and hosted a storied 20-month residency at Hakkasan Las Vegas Restaurant and Nightclub and Wet Republic pool party at MGM Grand Hotel & Casino. His new album, A Town Called Paradise, is a worldwide smash featuring the singles “Red Lights” and “Wasted,” among others.